As America's Mercury Seven astronauts were launched on death-defying missions, television cameras focused on the brave smiles of their young wives. Overnight, these women were transformed from military spouses into American royalty. They had tea with Jackie Kennedy, appeared on the cover of Life magazine, and quickly grew into fashion icons. Annie Glenn, with her picture-perfect marriage, was the envy of the other wives; platinum-blonde Rene Carpenter was proclaimed JFK's favorite; and licensed pilot Trudy Cooper arrived on base with a secret. 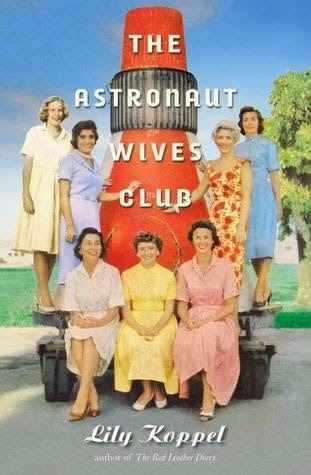 Together with the other wives they formed the Astronaut Wives Club, meeting regularly to provide support and friendship. Many became next-door neighbors and helped to raise each other's children by day, while going to glam parties at night as the country raced to land a man on the Moon. As their celebrity rose-and as divorce and tragic death began to touch their lives-they continued to rally together, and the wives have now been friends for more than fifty years. THE ASTRONAUT WIVES CLUB tells the real story of the women who stood beside some of the biggest heroes in American history. I was very curious to read this book, but it's not as interesting as it sounds. It is interesting to transport yourself back to life in the 50s / 60s and the changes that America and the world were going thru. But I struggled to follow a lot of the story line. There were a lot of names and couples to remember and a surprising amount of them had the same names! I was often confused. Especially after they added the New Nine (1962), The Fourteen (1963), and The Original Nineteen (1966). I definitely got lost with who was who.